When running aptitude (via SSH inside iTerm 2 on Mac OS), the items in the "Tasks" view have their first character missing from the display. For example, the first row says: "D/3D creation and editing suite" where it should start "2D/3D creation...". 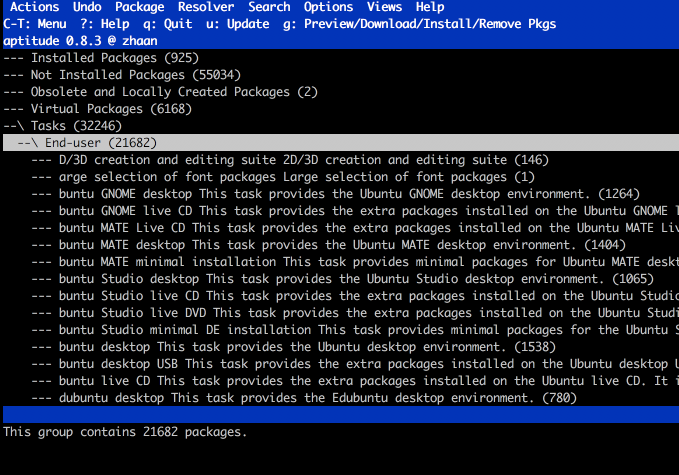 Hello, the bug is still present as reported in 17.10 with aptitude package 0.8.3-1ubuntu4.